Nice beds and Bath room. And a terrific wiew over the sea ,from the nice balcony . Nagyon szép a kilátás a teraszról a főút közel van de nem zavaró. Nagyon jól felszerelt a konyha! Ottimo panorama, possibilità di cenare in terrazza con vista tramonto ed isole. Bellissimo !!! Parcheggio privato e comodo, non mancava proprio niente. Prekrasan pogled sa terase (bili smo u prizemlju). Klima radi odlično, Wi-fi isto. Kreveti udobni. Apartman solidno uređen. Majitelka bola velmi mila, aj ked sme prisli trochu skor, tak dobehla behom par minut a odovzdala nam kluce. Ubytovanie je v perfektnej lokacii, vlemi blizko k moru (v podstate cez cestu). Plaz bola krasna, bolo malo ludi, super sme si zaplavali a uzili si more. Ubytovanie je velmi pekne a moderne, kupelna takisto, vybavenie kuchyne je zaklade ale uplne postacujuce. Spalo sa nam pohodlne. Nas apartman mal terasu s krasnym vyhladom na more. Die Aussicht aus dem oberen Stockwerk ist nahezu perfekt, man ist nur 50 m vom Meer entfernt, die Strasse die dazwischen liegt haben wir nicht als störend empfunden. Wlan und Klimanlage funktionieren perfekt. Da es nur eine Klimaanlage gibt muss man Nachts alle Zimmertüren óffen halten. Die Stadt und der Strand sind zu Fuß zu erreichen, allerdings ist die Überquerung der Strasse nicht einfach. Extrem tolle Aussicht. Haus hat drei Stöcke.. wir waren im obersten. Sehr sauber. Sehr bequeme Betten. Neuwertig. Klimaanlage. In ca 10 Gehminuten am Strand bzw. Stadt. Fantastisk havutsikt. Stor og romslig leilighet. Svært hyggelig og hjelpsomt vertskap. Gangavstand til strand, butikker , restauranter og by. Posizione spettacolare con vista mare. Appartamento enorme, arredato con gusto e tutti i comfort. Pulitissimo. Terrazzo ampio e sfruttabile. Nagyon szép a kilátás a tengerre. Jól elrendezett a lakótér. Közel van minden, a főút is, de nem zavaró. A szállásadó nagyon segítőkész. 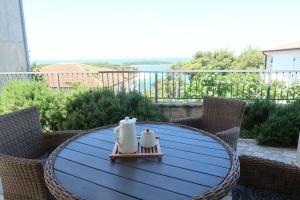 Lock in a great price for Apartments Maras – rated 8.6 by recent guests! 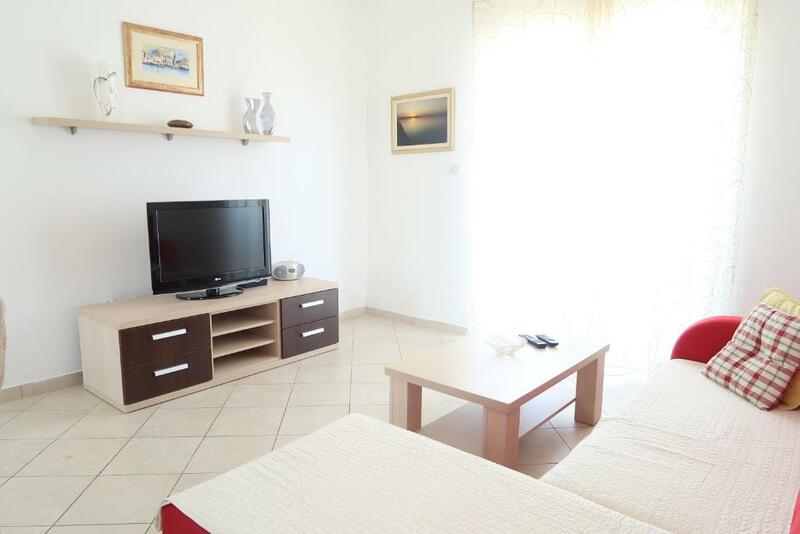 Apartments Maras This rating is a reflection of how the property compares to the industry standard when it comes to price, facilities and services available. It's based on a self-evaluation by the property. Use this rating to help choose your stay! 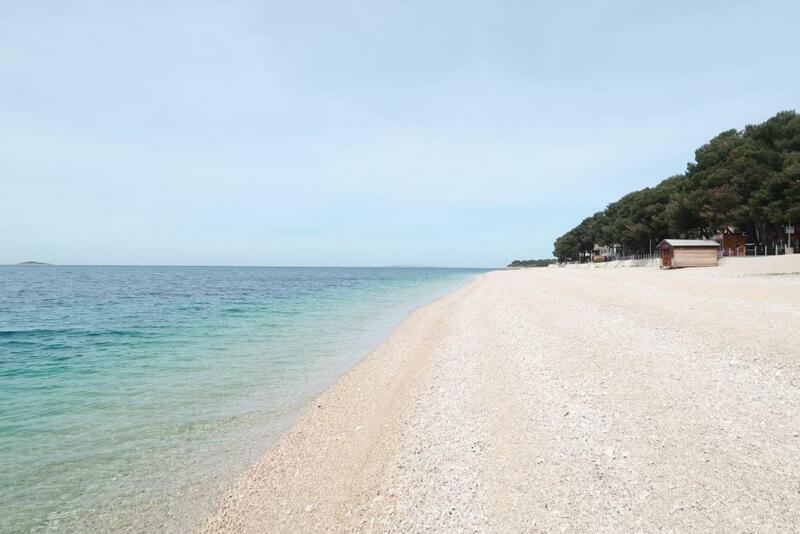 One of our best sellers in Primošten! 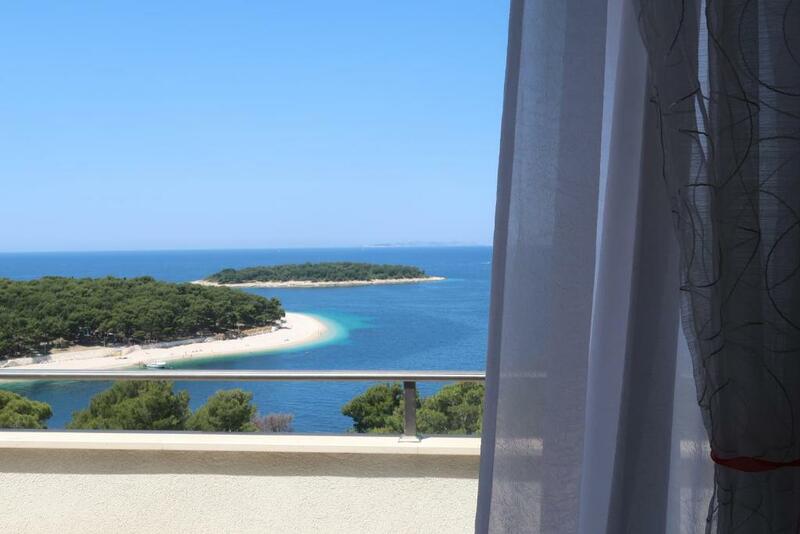 350 feet from the sandy beach, these spacious, self-catering apartments in Primošten offer balconies looking out to the beautiful Mediterranean Sea. Free Wi-Fi, a flat-screen TV and fully equipped kitchen are all featured. 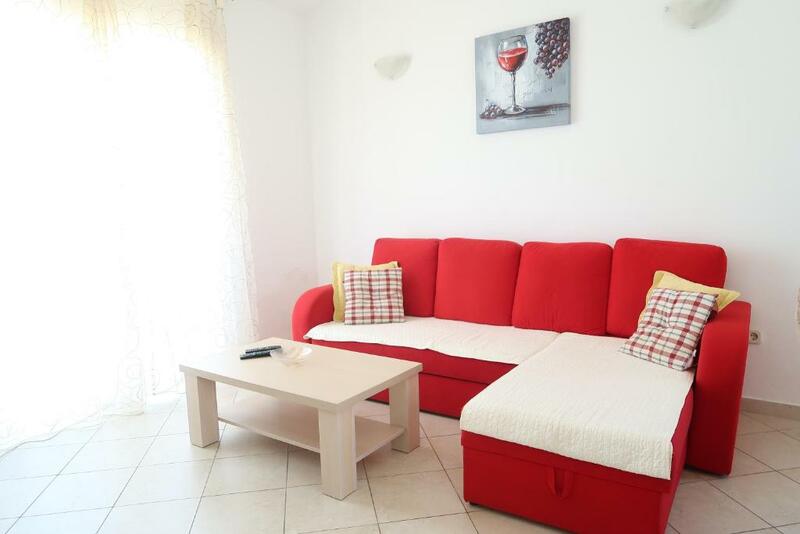 Apartmani Maras offers accommodations with a bright, modern interior. All apartments include a separate bedroom and living room, a private entrance and air conditioning. Kitchens come with a refrigerator and kitchenware. After preparing food, guests can sit down to enjoy their meals in the dining area. 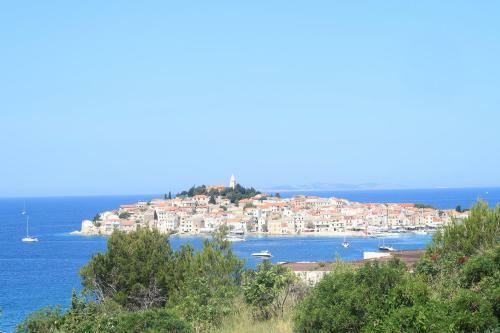 Primošten’s Old City is about 1,300 feet from the Maras. The nearest bus stop is just 350 feet away. Split Airport can be reached within 16 mi. Visitors enjoy free private parking on site. In sunny weather they can relax on the terrace, overlooking the spacious, green garden. 뀐 Located in the top-rated area in Primošten, this property has an excellent location score of 8.6! When would you like to stay at Apartments Maras? 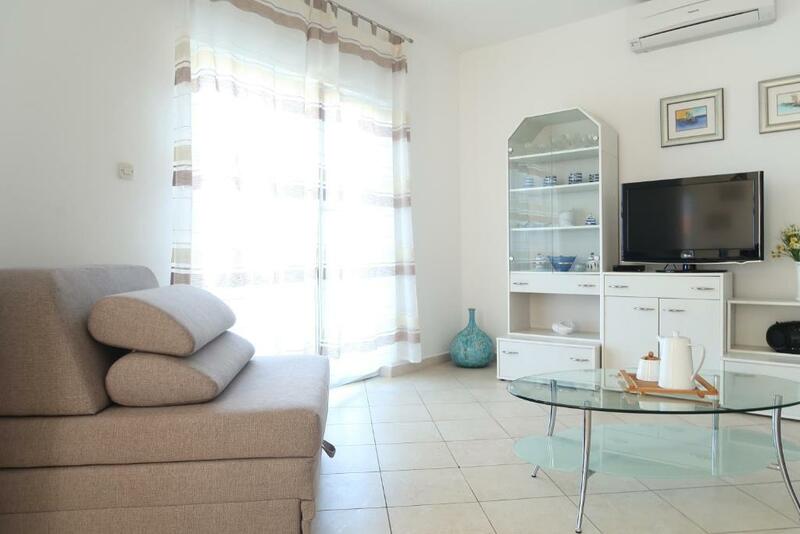 Air-conditioned apartment with a balcony, flat-screen cable TV, kitchen and bathroom with hairdryer. House Rules Apartments Maras takes special requests – add in the next step! Please inform Apartments Maras of your expected arrival time in advance. You can use the Special Requests box when booking, or contact the property directly using the contact details in your confirmation.